MultiBrief: What’s next for association health plans after federal judge’s ruling? What’s next for association health plans after federal judge’s ruling? U.S. District Court Judge John D. Bates recently ruled that the Department of Labor’s issuance of a final rule last June 19 that lets groups of small businesses offer association health plans (AHPs) is "clearly an end-run" around the 2010 Affordable Care Act's consumer protections that became law under President Obama. Kev Coleman, president and founder of AssociationHealthPlans.com, disputes Judge Bates’ ruling. "The new study on chamber of commerce association health plans painfully illustrates the insurance gains that will be lost to small businesses if the recent court ruling is not overturned,” Coleman said in a prepared statement. “Should the ruling stand, we will return to the prior unfair system where large companies will pay less than small companies for the same health benefits." The study, "Chamber of Commerce Association Health Plans Building Political Bridges While Refuting Opposition," finds, in part, that: "Through the new Department of Labor regulation, the same large company insurance model that already covers roughly 95 million Americans was made available to small businesses through associations. This change has been a matter of market access. The definition and rules related to large company health insurance have not changed. Instead, the playing field between small companies and large companies was leveled with respect to health insurance costs." An improved and more level field of play between large and small companies regarding the prices of health insurance is less than meets the eye, though, according to David I. Levine, a professor of law at University of California Hastings, where he teaches civil litigation and remedies. "It looks as if the federal judge was on very solid legal ground in rejecting the labor department regulations," he told MultiBriefs via email. "If the administration wants to make the necessary changes to allow these plans, the changes must be done through legislation approved by Congress." That branch of government, not the White House, must deliberate and legislate AHP changes. Anthony Wright, head of Health Access California, a statewide healthcare consumer advocacy coalition, also agrees with Judge Bates’ action. "In California, we have already banned so-called short-term plans and have put strong standards for association health plans," Wright told MultiBriefs in an email interview, "but it benefits our whole health system to prevent these junk plans at the federal level. These substandard plans not only trap people in junk insurance that may not cover them when they need it, but also destabilize the overall market and raise premiums for the rest of us." 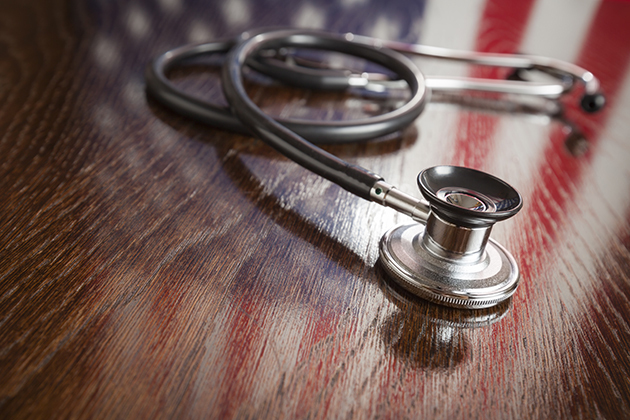 America’s Health Insurance Plans (AHIP), a political advocacy and national trade association, declined a MultiBriefs request to comment on Judge Bates’ recent ruling. However, after the DOL finalized its AHP rule in June 2018, the AHIP did comment on possible outcomes. "We remain concerned that broadly expanding the use of AHPs may lead to higher premiums for consumers who depend on the individual or small group market for their coverage," Kristine Grow, AHIP senior vice president of communications, said in a statement. AHIP commissioned Avalere to do a report on price outcomes of expanding AHPs. That report found "higher premiums in both the individual and small-group markets."